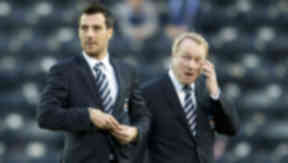 Italian defender has hit out at Michael Johnston's running of the Ayrshire club. Ex-Kilmarnock captain Manuel Pascali has blasted former chairman Michael Johnston for creating a "negative" atmosphere at the Ayrshire club and contributing to their slump down the Scottish Premiership table. Since reaching the top six in 2010/11, the Rugby Park side have spent four successive seasons in the bottom half of the country's top flight with Pascali laying part of the blame at Johnston's door. Johnston, who was replaced by Jim Mann as chairman earlier this year, remains on the Kilmarnock board but remains an unpopular figure among supporters. The departure of manager Kenny Shiels in the summer of 2013 sparked protests from fans over Johnston's running of the club. 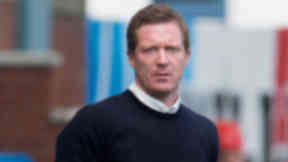 Last season, members of the squad were involved in a long-running dispute with the Troon-born solicitor over bonus payments. Speaking to Press Association Sport, Italian defender Pascali said: "If you ask a lot of ex-Killie players they will tell you that they have not been treated great from different points of view. "That's what happened with the bonus row and a couple of other things that gave a lot of negativity to the dressing room. "I'm not surprised that even with the quality we had the last couple of years we struggled. "I'm not using it as an excuse but if you have a lot of negativity in the dressing room it is not good." The 33-year-old added: "I love passion. It's part of my life. But I'm not sure if the passion is there. "The passion, the communication with the fans, I don't see it. "When we played (local rivals) Ayr United in the cup, did the chairman come into the dressing room and show what this game means to the club? No. It never happened. "It never even happened when we won the League Cup in 2012. "A lot of things can be said but Killie is still my club and it is in my heart. Maybe with more passion, this club can be one of the best in Scotland." After spending seven seasons in Ayrshire, Pascali was offered a new deal by manager Gary Locke on reduced terms. And the former Parma defender is preparing to return to his homeland to continue his career. "I've never heard anything more from Killie so that's the past now," he said. "I've had a couple of offers from abroad. There's been one club from Poland in touch and two or three Italian teams playing in Serie B. "I cannot say the names but I had a meeting last week with two of them and we are not far away from an agreement. "I'm looking forward to playing again in my home country or maybe somewhere abroad. "I think I can do well because my legs are still good. Hopefully I will soon be starting a new challenge. "Of course I'll be sad to leave Killie. I've played 220 games for the club, I was captain. Last year I played 35 games, so I wasn't expecting to leave. "Maybe Killie didn't think I was worth more than the offer I was made. Maybe they thought at the age of 33 I was not going to have another season as one of the main players. "But I see they are struggling to sign players and I'm not surprised with the budget they have got. "I want the best for Killie but if they don't sign the right players, it will be hard next season." STV has attempted to contact Mr Johnston for comment.